Striker Paul joined Watford from Nottingham Forest in the summer of 1988. He was top scorer in each of his three seasons at the club, and had a record of better than a goal every three games. He left to join Middlesbrough in 1991, but made four appearances in a brief loan spell in 1995. Now coaching, his most recent role is Assistant Manager at one of his former clubs, Grimsby Town. Watford Legends spoke to Paul in 2012, shortly after he had left Cardiff City. Hi Paul. Thanks for talking to Watford Legends. How did your move from Nottingham Forest come about? Steve Harrison was the manager at Watford and he had shown an interest in me. I met him just outside Watford for a chat, and I liked what he had to say and I therefore joined the club. At the time they were looking to push on in terms of getting back in to the top flight, so it was a good time to join the club. How did you find it when you came in to the club? Yeah very good. 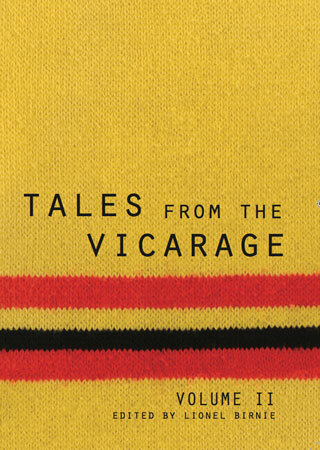 Watford had achieved great things with Graham Taylor and Steve had worked for him, so there was a nice link. Tom Walley was also there then and he was a great coach. So everything at Watford seemed pretty stable. You had a good goalscoring record at the club…. Yeah I was lucky though, I was playing with some good players who could give me great service. Glyn Hodges provided me with no end of crosses, and my goal scoring record was a relection of the service I was getting. In one game we beat Bradford by a good margin, I think it was 7-2 and that was a game that was a lot of fun to be involved in. Do any games live long in your memory? I think the Blackburn games. We drew 0-0 up there and lost 1-0 at home. Even to this day, those games remain amongst the most important of my career, and also as one of my biggest disappointments. I don’t feel we ever quite recovered from that defeat. I had a very good understanding with Gary Penrice, we had a good time together. I had quite a few though, with the likes of Dave Bamber and Garry Thompson. Dean Holdsworth and Iwan Roberts were also coming through at the time as well. Watford had a lot of good strikers at the time. I still speak to Penny every now and then, we have remained good friends since our Watford days. I always tell him that by giving him good service as a strike partner, I got him his move to Aston Villa! He was a terrific player. You left in 1991 but came back for a loan spell in 1995. How did you find that? Yeah I did. It was quite a funny time. Glenn Roeder was the manager then. I was at Middlesbrough at the time, and had experienced a spell where I wasn’t in the side much and needed a few games. So Glenn asked me to come back for a month. I ended up in the side with Kevin Phillips which was good, albeit for a short space of time. How different did the club seem when you came back. Yeah it had changed a lot. The stadium was changing and the club had changed training ground. The only thing that was the same was the fans. I have to say, Watford fans are very different to fans of many other clubs. They seem to be more involved and there is a real feel that Watford FC is one big family. That has always been the case and I have noticed it each time I have visited Watford in recent years. You had a spell up the road at Luton. How could you?! Well that sort of came out of the blue. Lennie Lawrence was my manager at Middlesbrough and was then at Luton. So I went there for a months loan. Unfortunately though I broke my toe after only a couple of games so I was not there for very long. It was only a little flirt with Luton so I hope Watford fans didn’t take it too much to heart! I’m well aware of the rivalry and did think of that when I went there. Well at least you didn’t score for them. As far as we are concerned you deliberately didn’t score for them! Yeah you can put that down if you like! I’m going to get hammered the next time I go there now! So what’s the job situation now? I was at Cardiff with Dave Jones and now we are on gardening leave and waiting for another opportunity. I’ve been lucky to have a few years of continuous employment in football so it has been quite nice to have a little spell out to spend some time with the family. But I’m ready to get back in now so I have been doing a little scouting and taking in a few games. It’s been a good time for my football education. Did you get a chance to speak to Malky about the situation? A lot of people were speculating, but Malky had his own ideas and wanted to bring in his own team, which is pretty normal these days. Malky gave me a call to be fair and explained the situation and I wish him and Cardiff well now. I hope that the platform we put down will enable Cardiff to progress. Is it a given that you will go wherever Dave Jones goes next? It’s not a given but I would like to. You cant always get what you want, but yes, it would be nice. Is it harder to get another job when you are a member of a back room team, unlike say, if you were Dave Jones and it is well known that he is an out of work manager? It can be. Although I would add to that by saying that coaches can do a bit of work in between the big jobs and keep ticking over, whereas managers do not have that luxury. They are judged on each individual job. I guess we are now coming to that point in the year where managers will be shipped in and out. We are but it has been a bit of a different bit this year. Changing a manager can be an expensive exercise for a club, and with money being tight I think clubs are sticking with their managers for longer than they would have done a couple of years ago. All I can do is make sure I am ready for the next challenge. Well good luck with that challenge, whatever that may be.